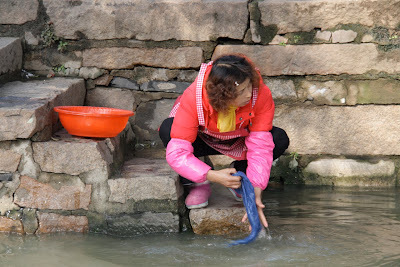 Saturday is washday in Tongli, the same as every other place in China. 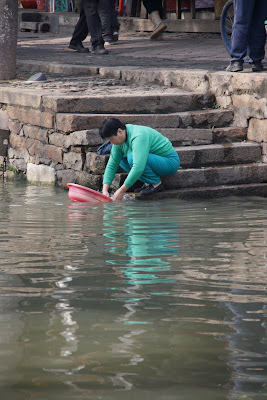 The difference in Tongli is that instead of a tub in the kitchen, you just take your tub down to the water's edge in the canal. 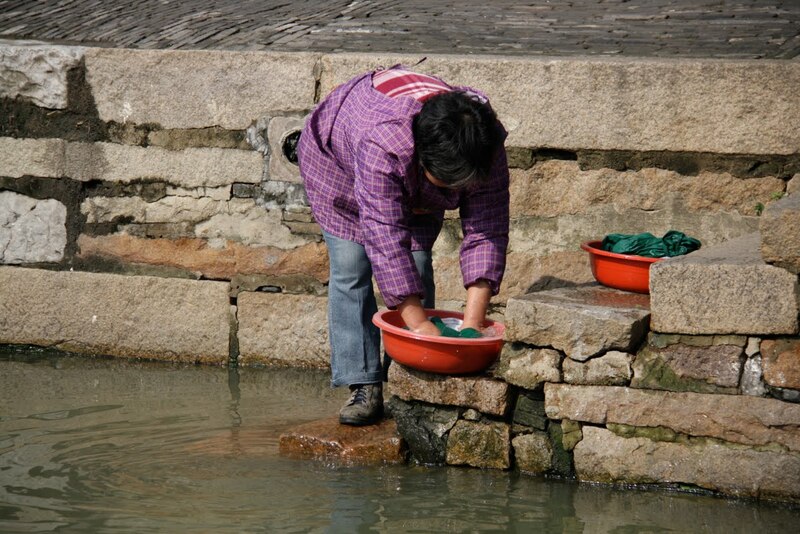 Despite the murky water the clothes come out looking surprisingly clean, from a distance. 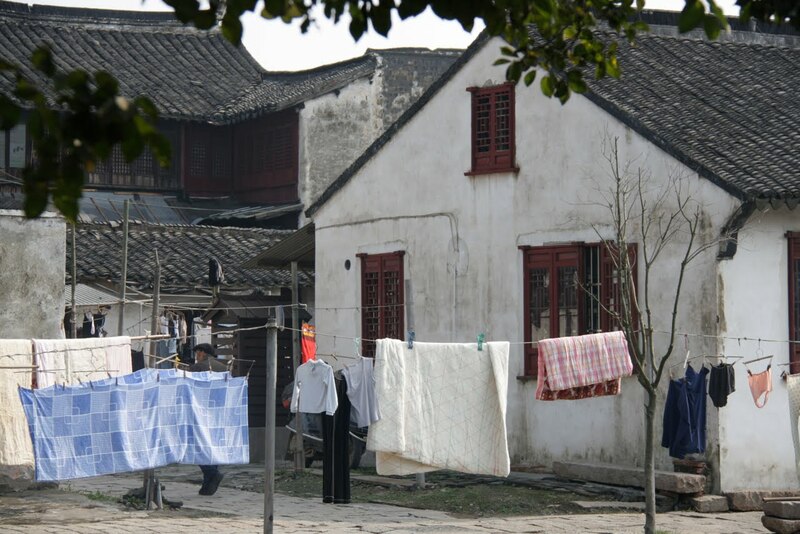 Then, hang your washing up on the path outside your house, using a string strung between any two adjacent uprights - trees, poles, scaffolding etc. I guess you shouldn't be too embarrassed about the neighbours seeing your daggy baggy undies, and that bra with the hole in it....because you can see theirs.